Camping La Pinede offers a bespoke sense of luxury and relaxation thanks to its location within the alluring Cap d'Agde region of southern France. Boasting a kaleidoscope of natural beauty alongside a host of on-site attractions, there is no doubt that this camping holiday will leave a lasting impression. 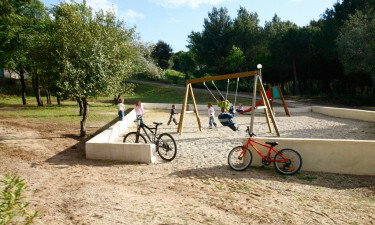 These amenities are then combined with amazing weather and a unique culture that will keep you coming back for more. If you have been looking for a bespoke sense of camping luxury, you have indeed come to the right place. La Pinede offers only the most modern mobile home accommodations as well as the ability to cater to those who may be arriving with children. Not only can you enjoy truly spectacular views of the nearby Mediterranean Sea, but the on-site activities will provide fun for the entire family. A handful of examples include table tennis, a multi-sport complex and a day care centre devoted to the needs of your little ones. Contact LuxCamp for more details. 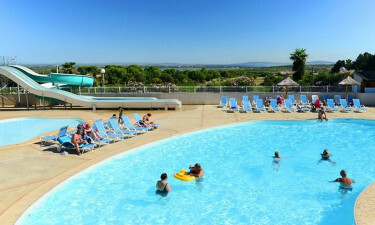 Why choose camping La Pinede? Live concerts during the warmer months of the year. An ability to sample local wines on Saturday and Sunday. Access to fresh and local produce. A host of rental options to choose from. While this luxury camping site is known for its access to a plethora of natural attractions, we should never forget the amenities that are specifically designed for the younger generation. From a child-friendly swimming pool to a fun playground, parents can rest assured that their young ones will never expereince boredom. 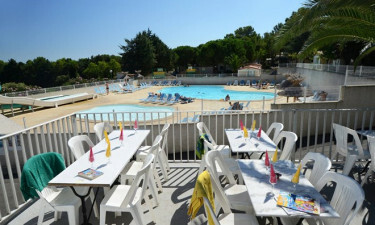 Camping La Pinede provides you with all of the comforts that you have come to expect. These include (but are by no means limited to) 72 spacious pitches, an open-air bar, washing facilities, free wireless Internet and pet-friendly facilities.